A wedding day is a day to remember. A unique experience that deserves a unique location. De Smockelaer has several function locations where you can dine or can have a great party. However you want to organise the day we will gladly help. 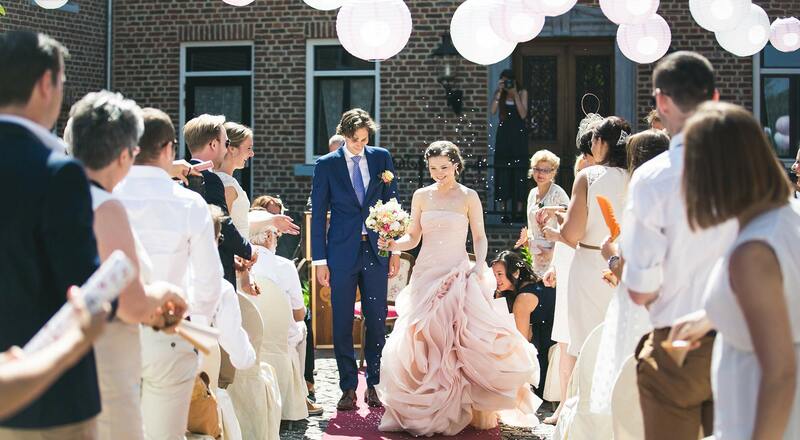 Are you looking for an original wedding venue in South Limburg? Romantic, unique and special, and preferably where you can spend the whole day? Then we would like to show you our great location in Teuven! Just across the border in Belgium is the little quaint village of Teuven, where the old village school has been transformed into a pub and restaurant together with the great party venue La Patria. Be pursuaded and see for yourself! In south Limburg we know how to celebrate. Take an attractive location, delicious snacks and drinks, a good dose of fun and you get a great party you’ll remember for a long time! Celebrate your party in one of the Smockelaer’s unique locations and then stay overnight in the group accommodation. Start the next day with a fresh breakfast and the best stories from a great party.